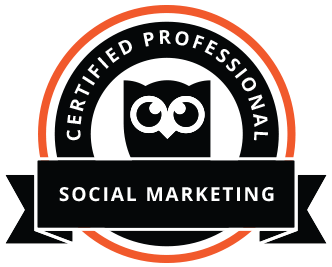 Prove you’re a social media expert by taking the Social Marketing Certification Exam. Industry-recognized certification that demonstrates your expertise with the essential elements of social marketing to clients and employers. A permanent online certificate to showcase your digital expertise that you can link to from your blog, website, or any other online profile. How is this different than the Hootsuite Platform certification? The Social Marketing Certification tests your knowledge of the core principles of social media marketing. The Hootsuite Platform Certification demonstrates your knowledge of the Hootsuite dashboard. While different, the two certifications are complementary. 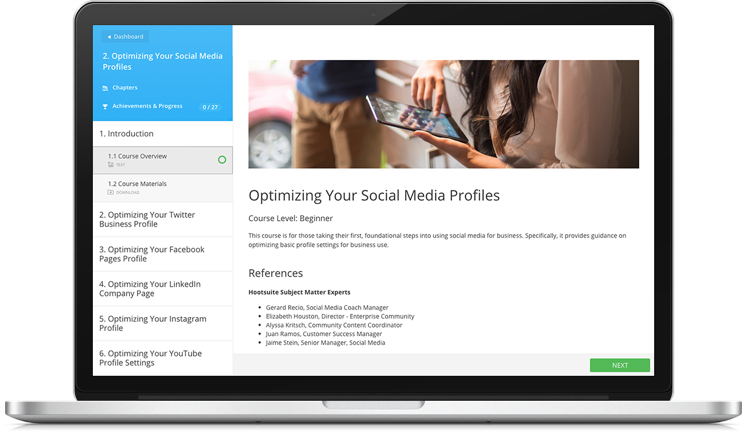 Having skills (and credentials) in both strategy and the Hootsuite platform can accelerate your career. How do I prepare for the Social Marketing certification exam? The exam is based on Hootsuite’s free online Social Marketing Training course that covers the fundamentals of social marketing. We recommend reviewing the course before attempting the exam. You’ll have 60 minutes to complete the 60-question exam. Yes. If you’re confident in your social marketing skills, you can go straight to the certification exam.